Photography is both an art form and a documentary medium. Often a photograph is taken purely to record, mostly accurately, what happened, or what you expect to happen in a certain situation. This could be as simple as a record of an event (to prove it happened), or for instructional purposes. For example, this is how this should look during an assembly process. Photography, as an art form takes a different direction. Still it is the same tool used for recording the image, but then it may be manipulated further, in the darkroom, or in the digital darkroom with Photoshop, to convey a message. Every photograph usually serves some purpose, such as the artist is intending to evoke a feeling by using a particular lens, focusing on certain aspects of the image, or using color and spatial relationships to evoke a response from the intended viewer. This same process occurs during the Eucharistic celebration. It is a ritual using imagery and objects which the celebrant and congregation hope will convey the various elements of the Mass in such a way they “feel” or experience the special nature of what is happening. We cannot consider the visual nature of what is being viewed in photography, or in a “live” image laden festival like the Eucharist without considering the matter of visual objects themselves. While the eye, brain and the mind may be processing this imagery, the visual objects themselves have a major part to play in this process. In the Catholic Church, we often associate sacramentals as the means by which a personal relationship is forged between the person and the object. We can see relationships between sacramentals and individuals such as a crucifix or rosary beads, but they are not limited to “holy items”. A family photography album or cherished wedding picture can evoke deep feelings of connection, releasing grace and love in the process. The connectivity of the image of the item or the action it visually triggers sparks a divine response inside of us. As this source is only available from God, we then are recipients of grace as a result. 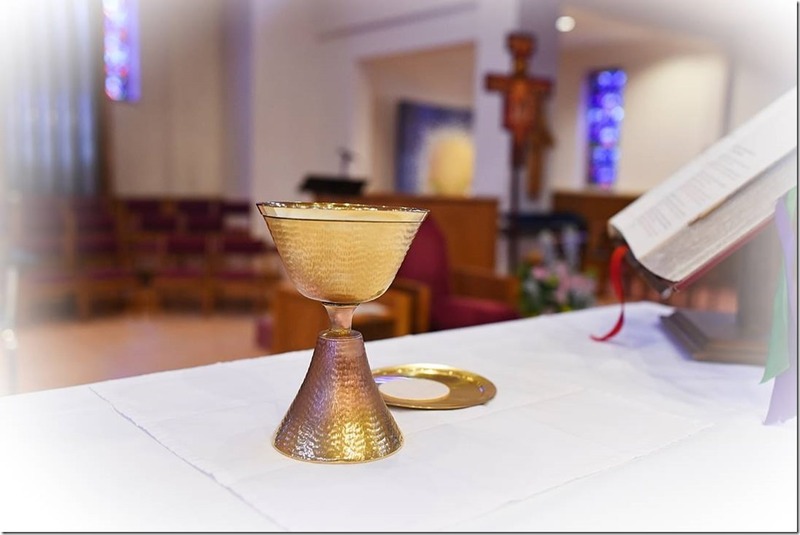 Perhaps today we can look for the sacramentals in our life, our parish and our Church as we take our leave after Mass this week; and see the connection between them, us and God’s everlasting love. © 2017 Michael J. Cunningham O.S.F.